adidas takes advantage of UltraBOOST 4.0‘s knit body to embellish its latest iteration with an array of tints. The versicoloured silhouette features a light-colored, densely-knitted toebox dressed with red and strong hits of tan. An orderly, rectangular pattern arrives on the quarter ornamenting the vibrant pink-purple base color. A grey-beige midfoot cage which marks the border between the two tones is connected to the metallic “UltraBOOST” branding-appliqued heel clip. The clean, white BOOST midsole rounds off the design contrasting with the reddish-pink outsole. 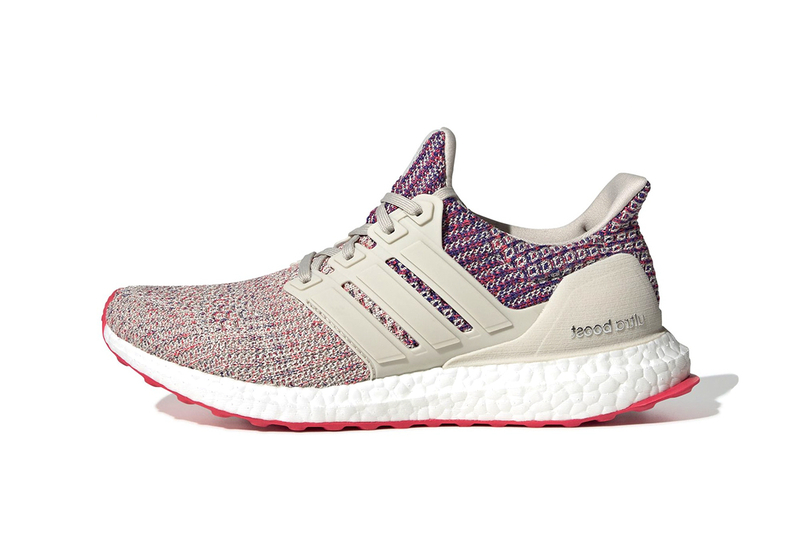 It is rumored that the multi-colored UltraBOOST 4.0 will be available for $180 USD on adidas.com and at select retailers in the coming weeks. If you are an UltraBOOST fan, check out the new BAPE x adidas UltraBOOSTs.